Our DNA is akin to a computer program. Like computers, human viruses can infect our biological programs causing chaos in our operating systems. The results for the unlucky human can lead to illness, madness, disease, and even death. 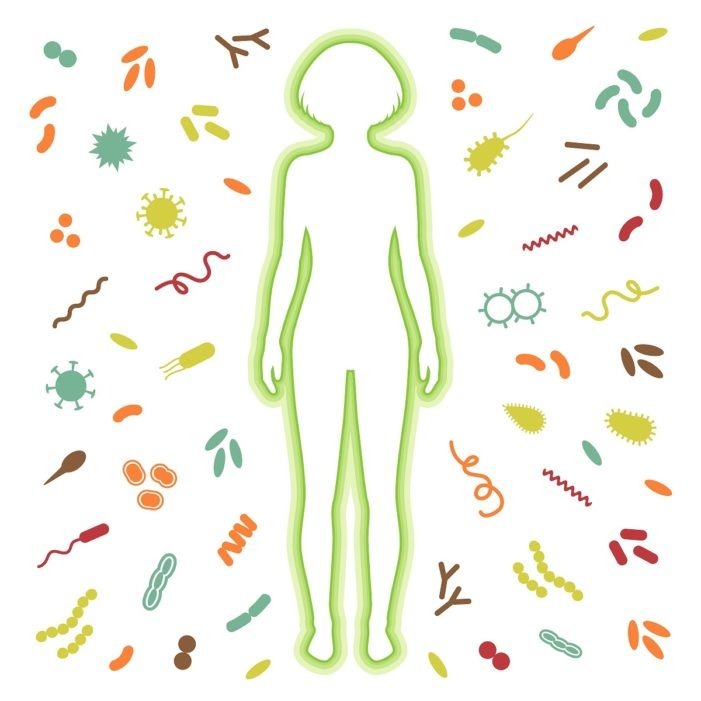 Humans have developed strategies to fight back against these parasites using our immune system but these little creatures have found ways to hide from our immune defenders to avoid proper recognition and thus interfering with the host protective mechanisms. The entry of the pathogen into the host cell is initiated by viral adherence to the cell surface in which it parasites nutrients and minerals from the host further weakening its immune system. In February, an international research team led by Prof. Oliver Werz of Friedrich Schiller University, Jena, released research showing how the mold/fungus Apergillus fumigatus tricks the immune system allowing the parasite to develop into a potentially deadly infection. Researchers from Stanford University in California are finding that a bacterium responsible for approximately 10% of U.S. hospital-acquired infections uses a virus to trick a person’s immune system into ignoring it. The image above shows the components of the cell wall that help fungi to evade the immune system. 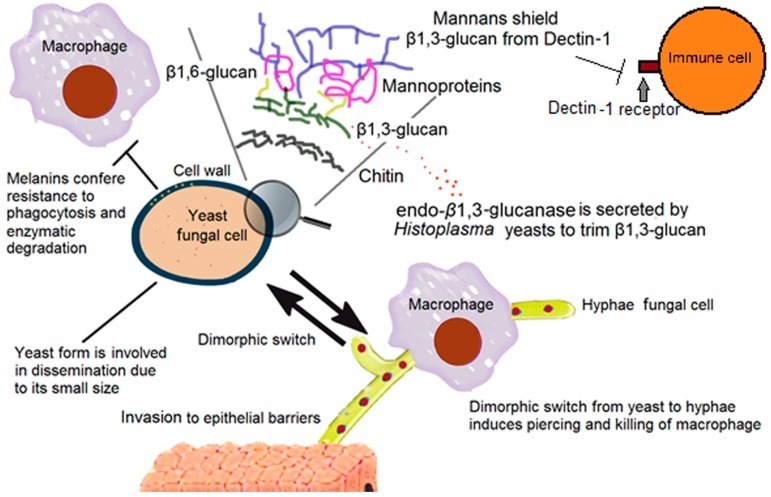 The outer layer of mannans of many fungal cells shields the highly immunogenic β-1,3-glucan from Dectin-1 receptor, precluding the activation of effector mechanisms in immune cells. In the case of Histoplasma cells, endo- β-1,3-glucanase is released to trim β-1,3-glucans from the cell and prevents its recognition via Dectin-1 receptor.